Abandoned online sales happen at an average rate of 70%, according to 24 different studies by Baymard Institute. Let’s think about that for a moment. For every 100 prospects, 67 of them will leave without buying. Recovering online abandoned sales at checkout should be a priority among merchants who want to sell more. Good news: BlueSnap is proud to announce our partnership with Ve Interactive, a multi currency & multi lingual shopping cart conversion platform, to offer a fully integrated cart recovery solution. With VeCapture, data capture and VeContact re-marketing software, online merchants can turn abandoned website transactions into sales by re-engaging and converting abandoned traffic through targeted email re-marketing campaigns. 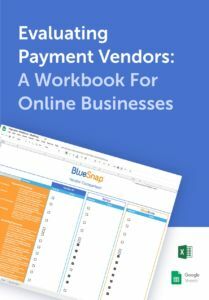 Starting today, BlueSnap merchants may elect to use Ve Interactive’s award-winning technology to win back lost traffic and optimize their online sales conversions, providing them with the formula for total online efficiency. For more information about BlueSnap’s Ve Interactive integration, visit our site or contact us. Let us know about your needs and how we can help.